I love the idea of individual sized meals. I think they add so much character, not to mention, they help tremendously with portion control. I saw this adorable (can food be adorable?) recipe for individual pot pies on the blog 5 and Spice! In a saucepan, heat the butter over medium-high heat, until it’s melted and starting to bubble. Stir in the remaining half of the chopped onion and cook for a few minutes until softened and translucent. Stir in the flour until it is all mixed in with the butter and onion and cook for a couple of minutes. Then, whisk in the milk a little bit at a time, stirring vigorously to avoid lumps. Then stir in the remaining smaller amounts of thyme and sage and the nutmeg along with a pinch of salt and pepper. Turn heat to low and cook, stirring occasionally, until thickened, about ten minutes. At this point, add more salt and pepper to taste. Then, stir sauce and roasted vegetables together. 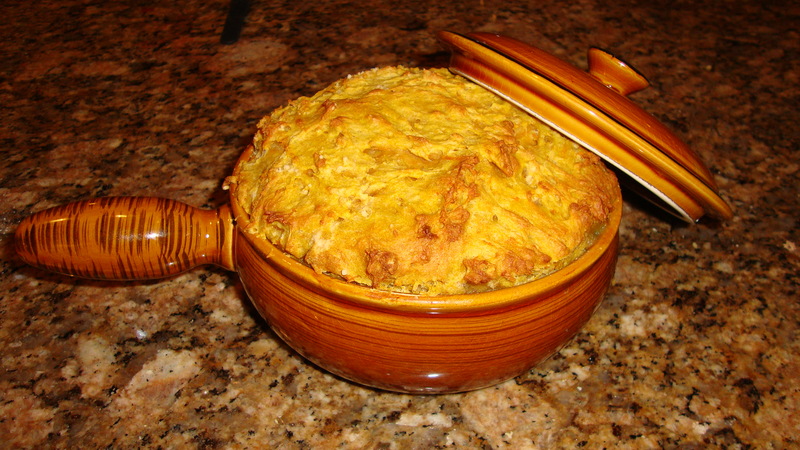 Either spoon the vegetables into 8 individual pot pie dishes (large ramekins) or into a large baking dish. 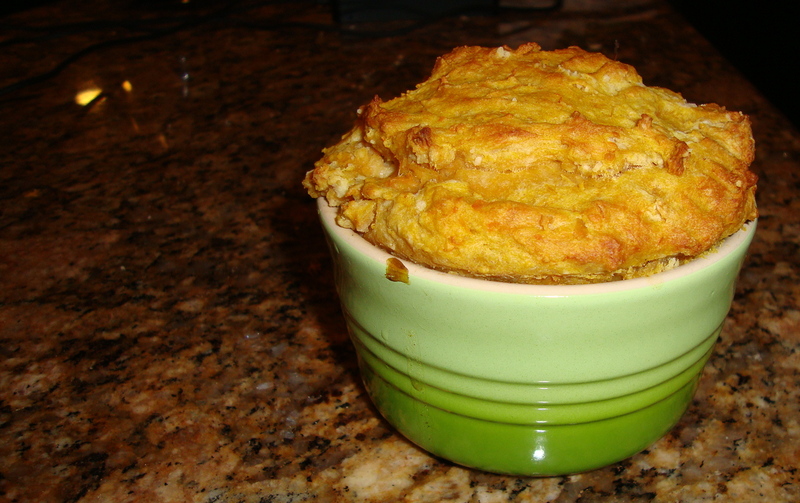 Put an unbaked sweet potato biscuit on top of each dish – or if using a large baking dish, arrange the biscuits on top to cover it, slightly overlapping one another. ** Pop the pot pies into the oven and bake until they are bubbling and the biscuits are puffed and golden, about 20 minutes. (You can also make the vegetables with sauce ahead of time and refrigerate them, then just warm them up to room temp and spoon them into your baking dishes when you’re ready to bake). ** My biscuits didn’t cook all the way through because the sauce and veggies was keeping the moisture in on the bottom so I might suggest making the biscuits separately or cook them for a little bit then put them on top. In a pot, cover the sweet potato with water, bring to a boil, then turn down to a simmer and cook until soft, about 20 minutes. Drain the potato well, then smash it up with a fork. Reserve ¾ cup of it and let it cool (you can use the rest of it for something else, for example eating it for a snack as you cook). In a bowl, stir together the flour, sugar, baking powder and soda, and salt. Rub the butter into the flour mixture until it looks like a coarse sand. Alternatively you can just pulse all these ingredients together in a food processor. 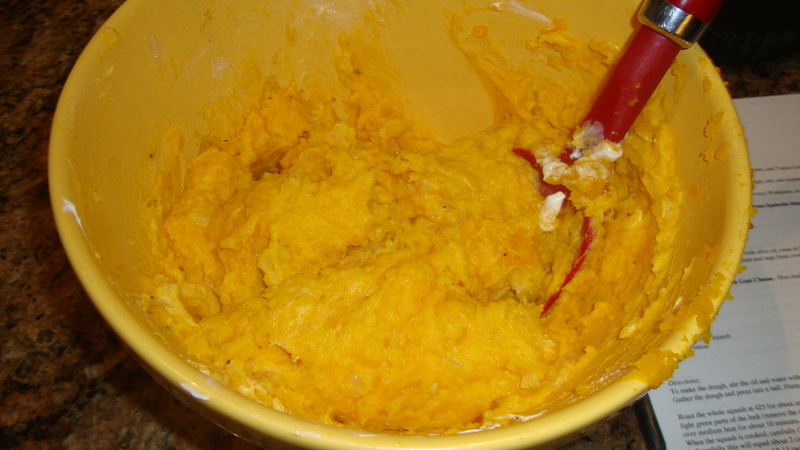 Stir in the buttermilk and ¾ cup sweet potato mash until all the ingredients are just combined. Scoop the dough out into a ball, and knead it a couple of times on a well floured surface. Then, roll it to about ¼ inch thick and cut it into 8 biscuits – you can make squares or use a 4 inch circle cutter. 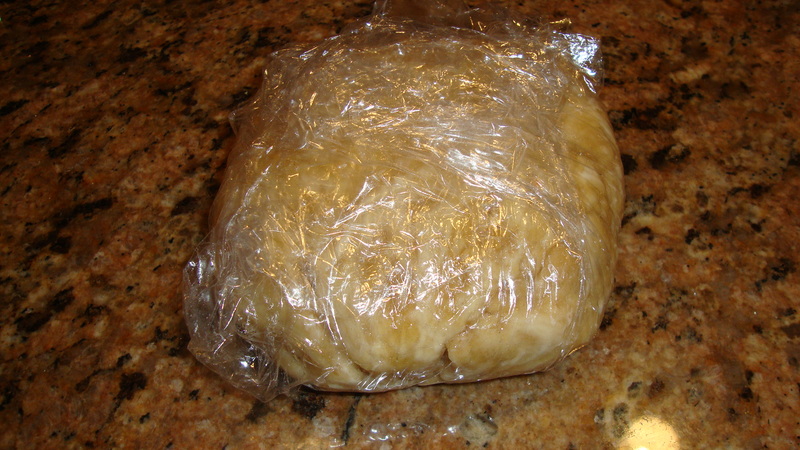 Put the unbaked biscuits on top of your pot pies before baking. Or, if you just want biscuits, bake them in a 425F oven for 15 minutes, until golden. Measure 1 cup flour and 1tsp. salt into a mixing bowl. Measure 1/4 cup olive oil into a measuring cup, then fill to the 1/3 mark with cold water. Stir the oil and water with a fork to emulsify, then pour into the flour and stir until all the flour is moistened (you may have to add a touch more oil or water if it is too dry). Gather the dough and press into a ball. Flatten into a disc, wrap in plastic wrap and chill for about 20 minutes. Meanwhile, cut the squash lengthwise in half and lay halves in a pan with a little bit of water. Roast at 425 degrees for about an hour, until soft and easily pierced with a fork. While that is cooking, sautee your diced onion in a hefty splash of olive oil over medium heat for about 10 minutes. Then turn heat to low and allow to cook for another 5-10 minutes to begin to caramelize. When the squash is cooked, carefully (ie, don’t burn yourself!) remove the seeds. 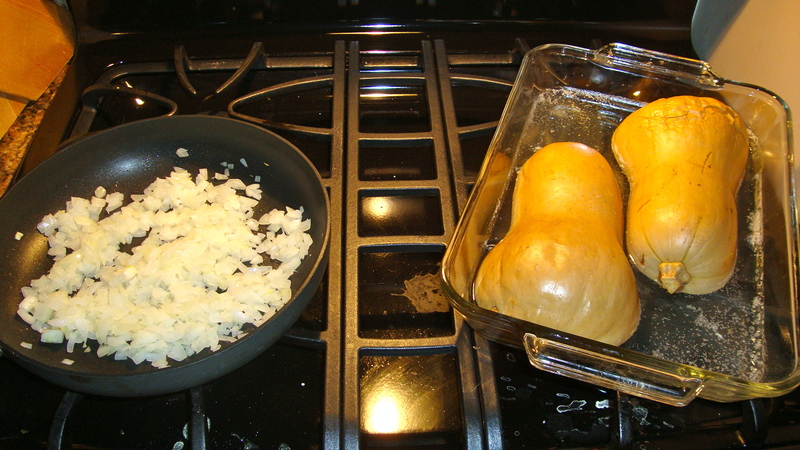 Discard the skin and mix squash with the onion mixture. Add salt and pepper to taste. 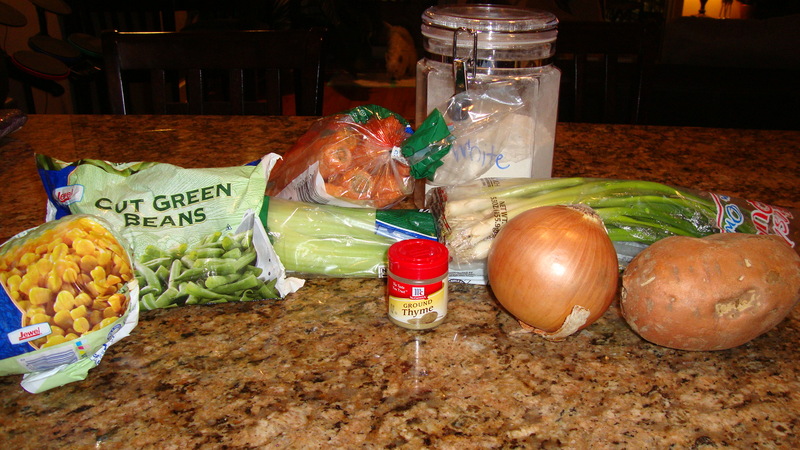 If you are adding cheese or sour cream add it here. I used about 3/4 cup of sour cream and 3/4 cup of grated cheddar cheese. 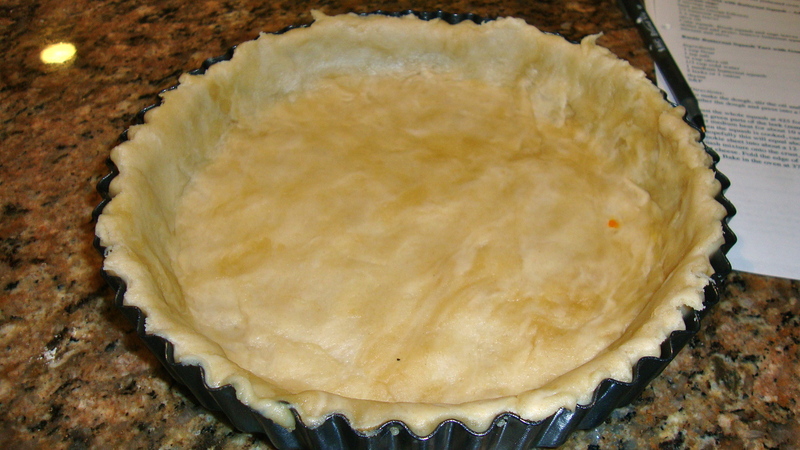 Press pie crust into pan to desired thickness (mine ended up being too thick, so be careful). 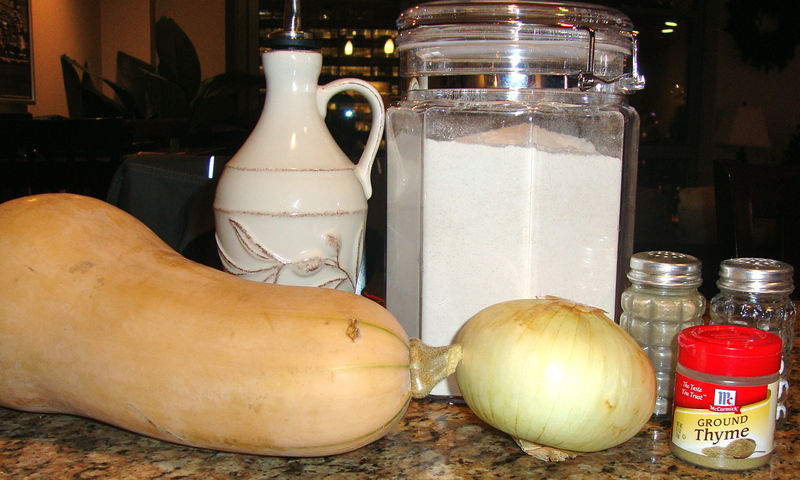 Add squash/onion mixture and sprinkle with 1/2 tsp. thyme. Bake in the oven at 375F for about 45 minutes, until the crust is golden. 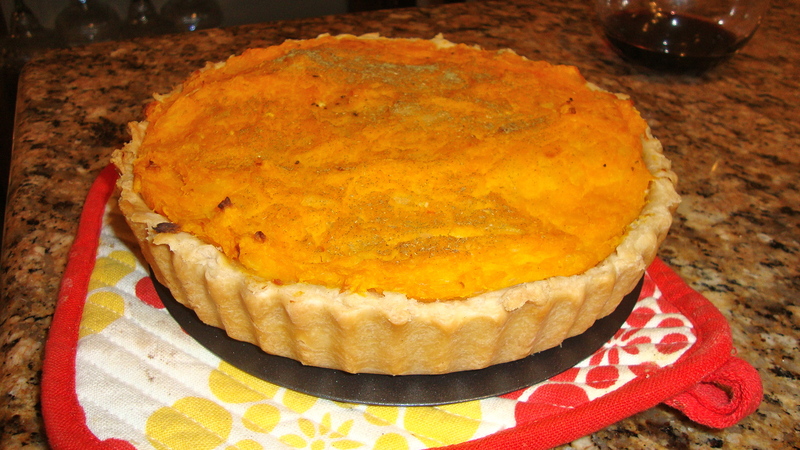 If you have leftover squash/onion mixture keep it! It makes for a great snack the next day on it’s own, similar to mashed potatoes.